Do you miss chocolate cake?? 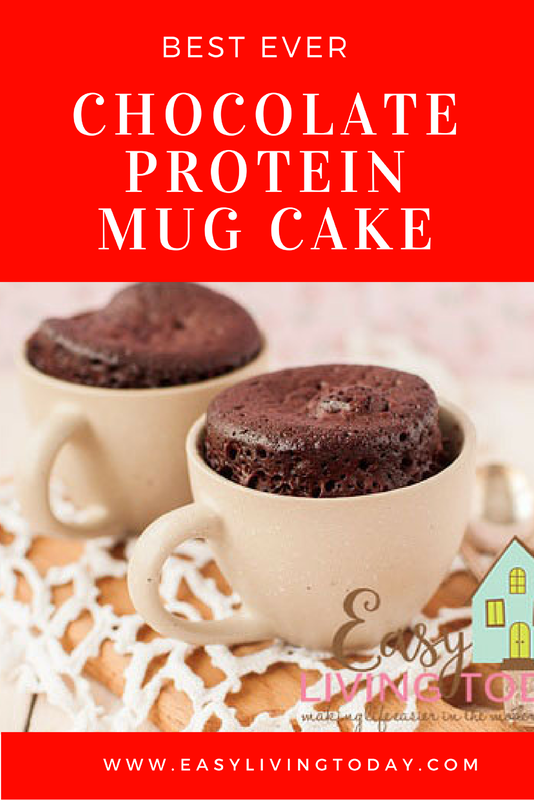 If you feel like treating yourself or need to curb your sweet/chocolate craving- then a protein powder mug cake is exactly what you need! 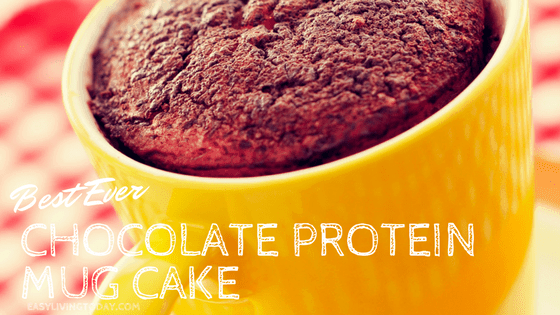 It tastes like delicious chocolate cake but is filled with protein and wont ruin your diet! It’s a much deserved treat after a hard workout! Or during that time of the month! The first time I made it my husband thought I gave up on eating healthy because our whole house smelled like a bakery. It REALLY does feel like a cheat. It’s also VERY filling! When it comes to protein powder recipes, you want to make sure your protein powder not only tastes delicious but is a truly clean option. Perfect Keto’s Collagen protein powder gives you a ton of extra benefits with the added collagen and MCT powder. From the hair, nails and skin benefits to the extra healthy fat. Not only does it taste amazing, but it is also only 80 calories! You seriously can’t go wrong with this protein powder. It also sells at a great price for something with so many benefits. Plus you can get an extra 10% off if you use the code EASYLIVINGTODAY at checkout! Coat the mug with coconut oil. In a separate bowl, combine the protein powder, baking powder, sea salt and cocoa powder. Add egg white, honey and almond/coconut milk. Stir until fully combined. Seriously, I’m not joking when I say fully combined. Do it well because you don’t want to taste pieces of egg whites in your cake! Add half of the batter to the bottom of the mug. Put 1 tsp of peanut or almond butter in the middle of the batter. Add the rest of the batter to the mug. I microwave mine for 1 minute and then put it on for another minute, but check it every 10-15 seconds until it’s done. Let cool in mug for a little bit. Top with remaining nut butter, if you’d like. 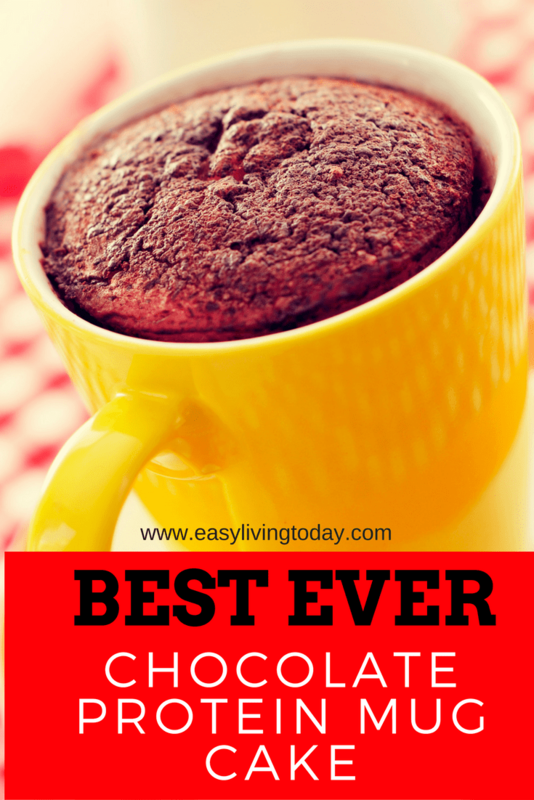 Get your 21 day clean eating meal plan that allows you to have desserts like these today!